On the occasion of the next IPY day to take place on 13 December and dedicated to ice sheets, SciencePoles takes a closer look at their characteristics, the history of their exploration, and what science projects are carrying out research on them during the IPY 2007-08. An ice sheet is a very thick and permanent cover of ice that extends to more than 50,000 km2 over a continent, island or landmass. Ice sheets grow in mass and surface area as successive layers accumulate through snow precipitation over millions of years, covering all land features and forming a low gradient, dome like structure. As the weight of the ice increases, it starts to deform and is eventually forced outwards through very large glaciers (also known as ice streams) that spill over coastlines and expand out to sea as floating ice shelves or ice tongues. Originating during ice ages, ice sheets advance and retreat in response to Earth's average temperature and glacial cycles. Today the Earth has three great ice sheets: The East and West Antarctic ice sheets, and the Greenland ice sheet. In Antarctica, the East and West Antarctic ice sheets cover over 97% of the continent's 14 million square kilometres (approximately one and half times the size of the United States). They contain 90% of all the world's ice, and 70% of all the world's fresh water. The larger of the two, the East Antarctic ice sheet, is 25 million years old, has a maximum thickness of over 4.7 kilometres, and an average thickness of over 2.1 kilometres. Beneath it extends a whole network of over one hundred sub-glacial lakes trapped sealed from the atmosphere since the ice sheet began to form. If it were to melt, the East Antarctic Ice Sheet would increase sea level by more than 50 metres, but because it rests on bedrock that lies above sea level, it is considered very stable. By comparison, the West Antarctic Ice Sheet is much younger and rests beneath sea level on a deep marine basin. This makes it a likely contributor to future, rapid sea level rise. Much more unstable and responsive to changing climate than the East Antarctic Ice Sheet, the West Antarctic Ice Sheet has already lost 2/3 of its mass since the last glacial maximum, a process that could be accelerated through the advent of global warming. If it were to collapse or disintegrate completely, global sea level would rise by five meters. The Greenland ice sheet, in the Arctic, is some 1.7 million square kilometres, covers 85% of Greenland's total area, has an average thickness of 2.3 kilometres and a maximum thickness of over 3 kilometres. It represents one eighth of the Earth's total ice-mass and, if it were to break up and melt, would increase sea level by more than seven meters. Current studies and models have shown that with surface melt and glacial flow currently accelerating in Greenland, average temperature only needs to rise by an additional 3°C for the process to become irreversible. Studying ice sheets and what lies beneath them is crucial: Firstly, to better understand their mass balance, structure, dynamics, stability and contribution to sea level, especially within the context of a warming planet. Secondly, through ice coring, to retrieve information on past climate by analyzing the tiny air bubbles and deposited particles that are trapped and preserved by successive layers of accumulation. This type of information has already, and crucially, demonstrated a clear cyclical link between the earth's temperature and the concentration of greenhouse gases in the atmosphere, and it will help to predict the response of ice sheets and global climate to the current rapid rise in atmospheric CO2 concentration. The Antarctic ice sheets where first explored in the first decades of the 20th centuries by the likes of Shackleton, Mawson, Amundsen, and Scott, but the first serious research into the structure, thickness and dynamics of ice sheets was carried out during the International Geophysical Year (IGY) of 1957-58. In 1957, the US, the Soviet Union and France began a series of traverses across the ice sheet to make seismic reflection ice soundings and glaciological studies. These traverses produced excellent first approximations of snow surface elevation, ice thickness, snow accumulation and bed topography of the East and West Antarctic ice sheets. Although it was not officially part of the IGY coordination effort, 1957-58 also saw the first full Trans-Antarctic traverse. Under the leadership of Vivian Fuchs and Edmond Hillary, the privately funded Commonwealth Trans-Antarctic Traverse (TAE) covered a 3,473 km stretch from the Weddell Sea to the Ross Sea via the South Pole, contributing regular seismic soundings and gravimetric readings along the way. In Greenland, the late 1950's and early 1960's also saw several traverses sponsored by the US Army Transportation Board and the U.S. Army Snow, Ice and Permafrost Research Establishment (SIPRE). Ice sheet research continued to develop with the advent of new technologies such as airborne measurements and satellites remote sensing. With their regional perspective, ability to digitally mosaic images and to monitor change over shorter periods, satellites in particular transformed the measurement of ice sheet processes. What's more, satellites such as NASA's Ice Cloud and land Elevation Satellite (ICESat), have and continue to play a pivotal role in the discovery and mapping of sub-glacial lake networks. But because surface and near surface measurements remain more important than ever in our understanding of ice sheet processes and how they are responding to global warming, traverses have continued to play a big role, especially since the early 1990s and the launch of the ongoing International Trans Antarctic Expedition (ITASE) which has brought together a dozen countries to coordinate surface and near surface ice sheet in Antarctica. In Greenland, the Program for Arctic Regional Climate Assessment (PARCA), which has combined in situ, aerial and satellite measurements to investigate the ice mass balance of the Greenland ice sheet. Looking deeper into ice sheets, the 1960s saw the first ice cores being extracted from Antarctica and Greenland. In those days, ice cores didn't go very far back in time and the data obtained was still very preliminary, but ice core research eventually really took off in the 1980s with a panoply of drill sites deployed across Greenland and Antarctica. Ultimately, in 2004, the European EPICA project was able to extract the oldest ice core to date at Dome C in Antarctica. The EPICA ice core goes back 800,000 years, or nine cycles of glacial and interglacial periods. In Greenland, the oldest ice core retrieved as part of the ongoing NORTH GRIP international ice coring programme goes back slightly more than 120,000 years. However, it has a much higher resolution than older Antarctic ice cores due to the dynamics of the Greenland ice sheet that is much more active due to its warmer climate, higher level of precipitation, and faster process of accumulation and outflow. Building on the solid foundation described above, The International Polar Year (IPY) 2007-08 is actively perpetuating this effort to better understand ice sheets and what lies beneath them, and to retrieve and interpret records of past climate in order to better predict future change. Overall, IPY involves over twenty ice sheet related projects spread between Antarctica and Greenland. Antarctic traverses will include the Norwegian-US Scientific Traverse from Troll Station in Dronning Maud Land to the South Pole; the next leg of the US International Trans Antarctic Expedition (ITASE) traverse; the Swedish-Japanese Antarctic Expedition (JASE) in East Antarctica; and the annual Chinese Zhongshan (coastal station) to Dome A traverses (PANDA) to establish a new Chinese research station at Dome A and carry out measurements along the way. 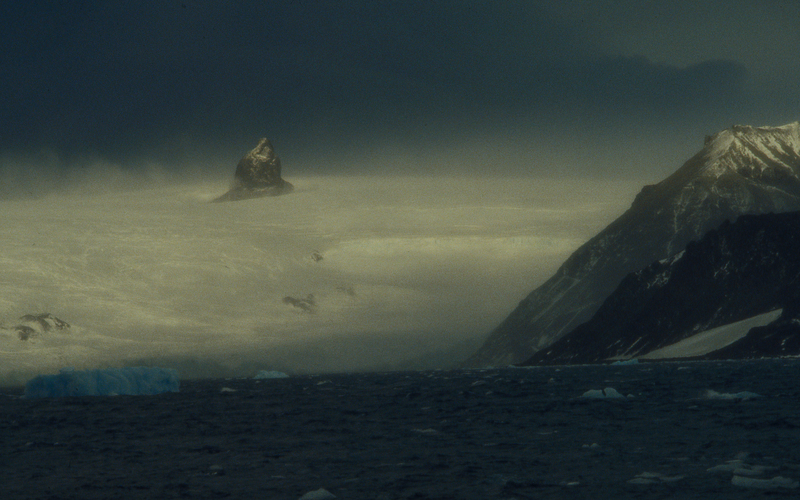 (Dome A is the culminating point of the East Antarctic ice sheet at an altitude of 4,093 metres above sea level). In Antarctic sub-glacial lake research, the IPY will see the continuation of the Sub-Glacial Lake Environments (SALE-UNITED) project, as well as the possible and controversial drilling into the Lake Vostok sub-glacial lake by Russian scientists. In ice core research under the ongoing coordination of the International Partnership for Ice Core Science (IPICS), Antarctica will see drilling projects in the Talos Dome and Ross sea regions, as well as early preparations for the drilling of an ice core going back more one million years in proximity to the new station being planned by China at Dome A. Also in Antarctica, the ambitious US West Antarctic Ice Sheet Divide (WAIS) project is working to retrieve a 130,000 year old ice core to match and compare with the North Greenland Eemian Ice Drilling project (NEEM) in North West Greenland. Researchers hope that the NEEM ice core will go back 140,000 years to a time when global temperatures where warmer than today and when Greenland must have undergone at least a partial meltdown. Other Greenland projects include the MARGINS project measuring changes in the rate of ice discharge speed in outlet glacier systems along the margins of the Greenland Ice Sheet, whilst bi-polar projects include the CRYOS, state of the biosphere project, and the measurement of Antarctic and Greenland mass balance by the twin GRACE satellites. Originating during ice ages, ice sheets advance and retreat in response to Earth's average temperature and glacial cycles.